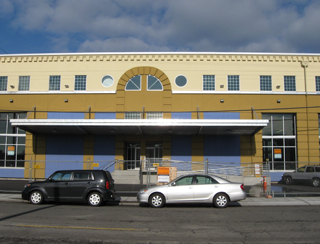 Crews installed dryvit EPS on the exterior of Sodo Commerce Center. The Sodo district, just south of downtown Seattle, makes up part of the city’s industrial area and includes Safeco and Qwest fields, a number of artist lofts and galleries. Although the district around the stadiums has undergone a number of changes over the years, many of those businesses to the south of the stadiums are still the original industrial buildings from the 1930s. So it was with the Sodo Commerce Center, a 36,000-square-foot wood warehouse that had seen much better days and needed a facelift. After some significant structural upgrades, Joseph J. Jefferson & Sons installed a dryvit expanded polystyrene system that included a fluid-applied weather-resistive barrier, pressure-equalized rain screen system and drainable EIFS finish. The structural upgrades and new exterior systems are expected to add 100 years of life to the building, which otherwise might have been demolished.